The Eucalyptus or Gum tree is not native to UK but occurs naturally in Australia. Some species are hardy enough to survive the British winter, such as Eucalyptus Gunnii (cider gum) which is a native of Tasmania. 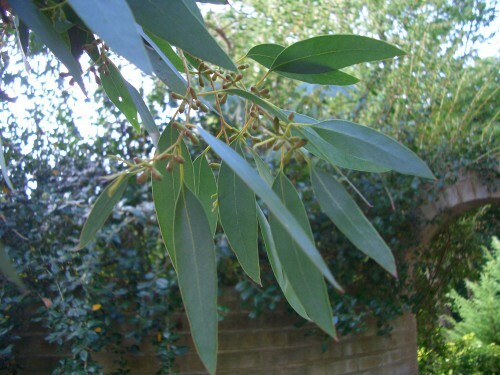 The young leaves are rounded and silvery, but they mature to a long, narrow shape and blue/green colour. Fluffy, white/cream flowers appear in July and August. 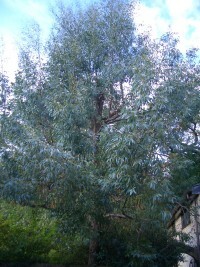 It is a very fast growing tree, very quickly getting out of control if left untrimmed. 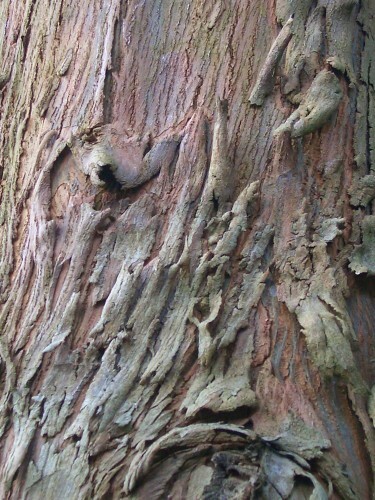 The bark on mature trees sheds each year leaving a fresh, pale coloured bark underneath which darkens with time. 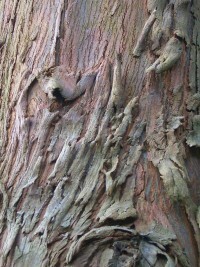 The wood is used in furniture making and the oils are used for medicinal purposes.